Fluorescent labelled E. coli can be seen in the swollen pharynx of some dying C. elegans (P, left) but not others with an atrophied pharynx (p, right). With improving healthcare humans are living longer than ever before, but with longer life comes ever more senescence-related pathologies. Understanding the role genes and environment play in the development of such pathologies in the complex system of our bodies is difficult. The nematode Caenorhabditis elegans is a great model organism and has been used extensively to study the biology of ageing because just like more complex animals, C. elegans also develop senescent pathologies. Researchers from the University College London and Washington University, MO studied age-related pathologies in C. elegans and their role in limiting lifespan. Understanding these processes in a simple organism may in turn help to further understand the origins of human age-related pathologies. To investigate the causes of death, the group analysed the corpses of recently expired wildtype C. elegans and found two particular forms with different pharyngeal pathologies. One type, named P ("big P") death, occurred earlier than the other and had increases in the posterior bulb size of 20-120%. The other, named p ("small p") death, showed a shrinking of the posterior bulb by up to 70%. The figures above show the age distribution and percentage survival of P and p deaths. Dissections and RFP labelling of the E. coli food source established that the enlarged posterior bulb in P death individuals was due to E. coli infection in elderly C. elegans. The high pharyngeal pumping rates typical of young nematodes is thought to mechanically damage the cuticle, creating vulnerability to invasion. Their findings suggest there is a narrow time frame in which young nematodes are thus susceptible. Consistent with this, the group found that mutants with reduced pumping rate had fewer P deaths, and lived longer. However, it was also found that worms dying with P and p death previously had similar pumping rates, so why did some worms but not others get an infected pharynx? The difference appeared to be due to the ability of some nematodes (p death type) to heal the cuticle thereby preventing invasion. The group used a novel approach to understand ageing by analysing and combining pathology and mortality profiles. Further work can now be conducted with a view to understanding how genes that affect lifespan differentially affect worms dying from different causes. Zhao, Y. et al. Two forms of death in ageing Caenorhabditis elegans. Nat. Commun. 8, 15458 doi: 10.1038/ncomms15458 (2017). Solution printing is a novel technique which uses an ink solution, containing semi-conductor precursors or nanoparticles, and deposits these on substrates with desirable characteristics. This offers a cost-effective method of creating large area thin film optoelectronics whilst also offering precise control over the stoichiometry and adaptability of the material. Metal halide perovskites have superb optoelectronic properties and the last few years has seen their power conversion efficiency increase rapidly, largely through the optimisation of the crystal morphology. The requirement to control morphology has posed a problem for solution printing. The understanding of crystallisation in dynamic flow of perovskite inks is quite limited, thus imposing restrictions in achieving high-quality perovskite films by the solution-printing technique. A group from the Georgia Institute of Technology and the University of Nebraska-Lincoln used a meniscus-assisted solution printing method to elucidate the crystallisation kinetics of perovskite inks and help create high efficiency perovskite solar cells. The thin-films were created with preferred crystal orientation with micrometre-scale grains. The group used an LTS350* to control the substrate temperature during the meniscus-assisted solution printing process, due to its capability of precisely controlling the temperature at ±0.1oC. Their investigation on the crystallisation kinetics of perovskite films revealed that a large temperature fluctuation would seriously impact the crystallisation kinetics of perovskite films during the meniscus-assisted printing process. The LTS350* was ideal for maintaining the substrate at a constant temperature and focusing on the exploration of the meniscus effect on the perovskite crystallisation process. Their study helped to uncover the crystallisation kinetics of perovskites during the printing process, providing rational guides to precisely control the crystallisation morphology of printed perovskite films. By improving the control over morphology, the group’s work helps to pave a route to large-area optoelectronic devices for commercial applications. Lin et al., Meniscus-assisted solution printing of large-grained perovskite films for high-efficiency solar cells. Nat. Commun. 16045, doi:10.1038/ncomms16045 (2017). Partly fossilized mycelium of fungal hyphae on a zeolite crystal from 740 m depth in fractured granite. Back-scattered Environmental Scanning Electron Microscopy image. Width of view 600 µm. Photo credit: Henrik Drake, Magnus Ivarsson. Despite being considered vital for energy cycling of the earth; the deep biosphere is one of the least understood ecosystems. It is thought to have approximately 19% of the earth’s biomass yet samples are hard to come by, making their study difficult. Microorganisms from the deep biosphere that have been studied are generally prokaryotes, with microeukaryotes being largely ignored. Recently samples were taken from a 740m deep drill core sample in Sweden after the site was investigated for its suitability for deep nuclear waste repositories. Findings have shown the presence of fossil and active fungi in these deep ecosystems, but little work has gone into understanding them. Drake et al., studied the microorganisms in these deep crystalline fractured rock samples. Their aim was to gain a better understanding of the microbial processes in the continental crust. The knowledge of this vast realm is very scarce and tells us more about life forms and processes under extreme conditions which may also have important implications for nuclear waste storage. Their analyses found the microorganisms belonged to the Kingdom Fungi and were found to be anaerobic. The closest systems studied were that of anaerobic fungi in the rumina of ruminant animals. It was proposed that the fossilised fungi also shared a symbiotic relationship with bacteria in the deep biosphere. Their work highlighted an intimate relationship between the fungi and sulphate reducing bacteria, further drawing attention to the richness of the deep oligotrophic biosphere which is often neglected. These fungi were found to provide significant amounts of H2 to autotrophic microorganisms in the crystalline continental crust. The group also looked at the biochemistry of these fungi and found they may pose a threat to repositories of toxic waste. This is through either directly breaking down the barriers holding the waste, or by facilitating the bacterial community into doing so. Their work highlights the importance of studying these neglected geological microorganisms. With fossil fuels running out, nuclear energy may be the way forward. But to safely store away waste products, understanding their chemical and geological environment is of utmost importance as illustrated by Drake et al., As such it becomes vital to study ecosystems, such as the deep biosphere, in its entirety. Serpentinization is central to many theories of the origin of life. The hydrothermal alteration of mantle rocks, referred as serpentinization, occurs when the mantle is exposed to aqueous fluids circulating below 400°C, leading to the formation of serpentine, hydrogen and other minerals. It is a process heavily involved in mass exchange between the mantle and the surface and influences geochemical cycling and fluid-mobile elements. It occurs in various submarine environments including mid-ocean ridges and subduction zones and it affects the physical and chemical properties of the oceanic lithosphere. It is also pivotal to current theories on the origin of life. Serpentinization is likely to have provided the crucial chemical gradients required for life to being when the earth was simply rock, water and carbon dioxide. 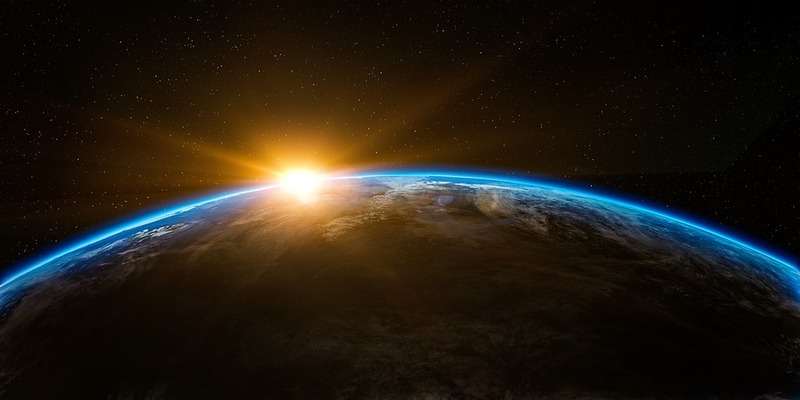 Despite being a process vital to our understanding of the origin of life and the Earth´s lithospheric mantle activity, the rates and the environmental factors affecting serpentinization are poorly understood. A collaborative effort from Virginia Tech, The Free University of Berlin, Woods Hole Oceanographic Institution and The University of Texas used synthetic fluid inclusions as micro-reactors in olivine crystals as a model to study the rate of serpentinization. This method allowed them to study mineral precipitation and water activity in real time and in situ. Their technique allowed them to study the mineralogy and chemistry of the reaction products. After carrying out experiments with different salinities and fluid compositions, they found the reaction to be highly sensitive to the salinity and chemistry of the fluid. This poses interesting concepts of where serpentinization may occur in the earth’s mantle as well on other planetary bodies. Their novel micro-reactor technique could also be applied to many other minerals, reaction products, and fluid compositions to study fluid-rock reactions in real time and in situ. Lamadrid, H. M. et al. Effect of water activity on rates of serpentinization of olivine. Nat. Commun. 8, 16107 doi: 10.1038/ncomms16107 (2017). Bacteria must be able to find food in order to survive. They have evolved various chemotactic strategies to efficiently locate and track nutrient gradients, several of which have been defined. The strategies usually consist of a series of run phases in which the bacteria swim in straight lines followed by phases of tumbles, arcs, stops and reversals. A tight control over these phases allows them to direct and adapt movements towards nutrient sources. Their intricate pathways of signalling proteins allow them to detect chemical changes in the environment which in turn will affect their run phase. Bacteria must maintain straight trajectories to pick up vital environmental cues and react appropriately. However due to their size and shape, the lengths of their movements are restricted by Brownian motion. The rotation friction (fr) co-efficient is the cell’s resistance to being rotated, which is dependent on both cell size and shape. Several models have been suggested for spherical and ellipsoidal cell types. However, despite theoretical modelling, there has been little empirical evidence. August’s Paper of the Month, from the Universities of York and Lincoln, focussed on validating the theoretical understanding of how cell size and shape affect bacteria run phases. To create bacteria with different aspect ratios they treated E.coli with cephalexin, which was found to elongate the cell. They compared this form to the normal wildtype E.coli. 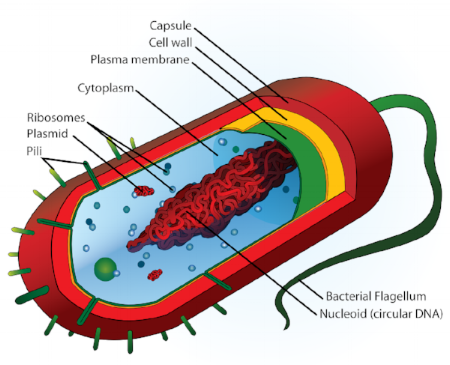 With increasing cell length, they found an increase in flagella along the cell body. Flagella are primarily motile appendages, but also sensory, and are found commonly in the cell bodies of bacteria. Using phase contrast microscopy, they then recorded and tracked both the control and elongated group. Samples were imaged while placed on a Linkam PE-100 ZAL system heated to 33°C. Their results indicated the elongated cells had shorter runs but longer tumble phases. This finding agreed with the veto model which suggests an increase in flagella increases the average tumble time. Although mechanistically different, they also found elongated E.coli performed a run and reverse strategy. This pattern has been described within natural populations of marine and soil bacteria and has been found to be advantageous within these particular niches. 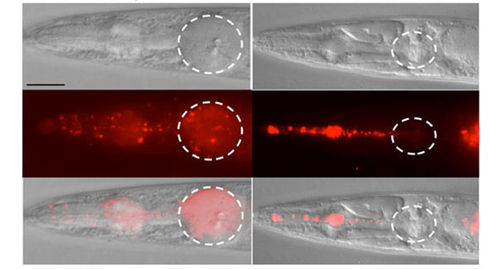 Their work experimentally demonstrated long-standing theoretical predictions about how cell elongation may affect the capability of bacteria to swim and to navigate their chemical landscape and how different morphologies can lead to vital changes in motility patterns. They are now taking their results one step further and using microfluidic devices with the PE100 to characterize bacterial chemotaxis. A microfluidic chip placed on a Linkam PE100 ZAL system. A hexagonal ice crystal in the presence of birch pollen molecules. The shape is indicative of ice crystal growth inhibition. Ice crystal growth through nucleation is an important natural process for atmospheric and cryobiological processes. For biological organisms, surviving sub-freezing temperatures requires tackling intracellular ice formation. Such organisms have evolved antifreeze proteins to inhibit ice crystal growth, thus preserving structural integrity. Ice crystals are formed in clouds triggered by ice nucleating particles. Originally it was believed these particles were forms of mineral dust but recent studies have found them to also include biological agents including pollen, bacteria, fungal spores, cellulose and microalgae. Active sites are regions on the ice nucleating particles where critical ice embryo formation occurs. These can be proteins or polysaccharides in the cell membrane although studies have found these are still active when separated from their original particles. Yet these biological molecules can act as both ice nucleators and ice inhibitors and consequently there has been much desire to further understand the manner in which these molecules interact with ice. The search for such answers may also help to further explain how biological organisms survive extreme climatic conditions. July’s Paper of the Month comes from the Bielefeld University. They tested for the presence of antifreeze molecules in various types of known ice nucleating boreal pollen. The group conducted their temperature controlled experiment using the Linkam BCS196. FTIR spectroscopy of the pollen highlighted two polysaccharides with similar chemical structures which differed in size. The larger (>100kD) of the two was responsible for the ice nucleating ability of the pollen while the smaller (<100kD) exhibited ice inhibiting abilities. Analysis of IR spectrum suggests the ice inhibiting molecules are either fragments of ice nucleating molecules, or ice nucleating molecules are clusters of smaller ice inhibiting molecules. The group’s results indicate both to have similar molecular moieties. Complementary findings in studies on boreal pollen suggest this may be a mechanism to protect pollen against springtime frosts. Their valuable work better helps us to understand the way molecules may be interacting with ice in natural processes. Dreischmeier, K. et al. Boreal pollen contain ice-nucleating as well as ice-binding ‘antifreeze’ polysaccharides. Sci. Rep. 7, 41890; doi: 10.1038/srep41890 (2017). Blood transfusions are life changing operations needed by many, yet donors – especially for rare blood groups – are hard to come by. Medical advancements in the last few decades have seen the average human life expectancy notably increase. However, despite improved medical techniques and procedures, the demand for blood is ever increasing. Donated blood is in short supply and has a limited shelf life while current in-vitro methods of culturing do not provide a sustainable supply suitable for clinical needs. May’s paper of the month by Trakarnsanga et al., discovered a method of creating an immortal red blood cell (RBC) supply. Through testing these RBCs have been shown to be molecularly and functionally similar to in vitro cultured RBCs. Stem cells are cells which are capable of proliferating into many - and sometimes all - types of cells. Previous in-vitro methods of culturing RBCs used the differentiating abilities of stem cells to produce RBCs from adult peripheral blood or umbilical cord blood stem cells. However, these RBCs have limited proliferation capacity and cells derived from cord blood often show fetal phenotypes. Trakarnsanga et al., produced the BEL-A (Bristol Erythroid Line Adult) line which was created through transducing early erythroid cells grown from adult bone marrow stem cells with a plasmid construct. Environmental control maintained these erythroid cells in an indefinitely proliferative state. The cultured cells could then be induced to complete maturation through removal of the inducing factor. The bloodgroup of the cultured RBC matched that of the cell donor while the protein expression profiles of these cells were found to be similar to in-vitro cultured RBCs. RBCs must be able to change shape under the stress of mechanical forces without rupturing. Testing this property in the BEL-A line is vital for clinical use. The group used the CSS450 shear stage, Imaging Station and Linkam imaging and control software to test the deformability of the cultured cells. The BEL-A line bound oxygen and had deformability indexes comparable to normal RBCs. Transplantation of the BEL-A line into a murine host also proved successful with no difference in survival rate between these mice and mice transplanted with donor RBCs. The group have created an immortal RBC line which through testing, matches in-vitro and normal RBCs in all categories tested. The discovery could provide a reliable and suitable blood source for those with rare blood groups and those requiring regular transfusions. Although more work will need to be done before clinical use, the ability to create RBCs through an immortal line could help alleviate the pressure of securing blood donors for patients and could prove life-changing for many. Trakarnsanga, K. et al. An immortalized adult human erythroid line facilitates sustainable and scalable generation of functional red cells. Nat. Commun. 8, 14750 doi: 10.1038/ncomms14750 (2017). Lithium ion batteries (LIBs) are heavily used in the portable electronics industry due to their low weight and high energy output. Although they are incredibly popular, improvements can be made in terms of capacity and replacing the volatile and flammable organic solvents within the batteries. This month’s paper of the month comes from the Warsaw University of Technology. They tested and researched different constituents of LIBs to increase conductivity and capacity of the ionic liquid-lithium salt binary system. They did so by introducing lithium salt as a Li+ cation glyme solvent. By using the LTS120 system with a Raman spectrometer they could study phase transitions and salt dissociation, giving a better understanding of the conducting mechanism. Due to their great conductivity, Ionic liquids (ILs) could be a potential replacement for the dangerous solvents in LIBs. However, there are several issues with their incorporation. Firstly, ILs are produced on a small scale so they are very expensive. Secondly, their high melting points, poor compatibility with electrodes and other electrochemical properties make them less ideal as lithium conducting electrolytes. The research group created a new family of ILs to try and improve on the disadvantages of the classic ILs. The ionic salts were mixed with LiTDI salt to create a XMIm+TDI- LiTDI system. This formed a chain shaped [Li(TDI)2]nn- and XMIm+, but this system was found to be a poor conductor of lithium ions. Studies from another group found the solvent glyme, when mixed with LiTDI salt, creates a solvated Li(glyme)+ cation and Li polyanion system which is great for ionic conductivity as well as Li cation transference. Both qualities were desired in the Warsaw group’s BMIm+TDI- LiTDI system. Karpierz, E. et al. thus incorporated the solvent glyme into their system. Their ternary mixture consisted of an aggregated system of [Li(glyme)]+ cations and [Li(TDI)2]NN- anions dissolved in the ionic liquid BMIm+TDI-. They discovered the order and method of mixing affected the electrochemical properties of their system. They found that by mixing the LiTDI with the glyme first for at least six hours followed by the addition of the ionic liquid, it produces the system with the greatest conductivity. The group have found a novel method of improving the ionic liquid-lithium salt binary system, which could have great potential application in lithium ion batteries. Karpierz, E. et al. Ternary mixtures of ionic liquids for better salt solubility, conductivity and cation transference number improvement. Sci. Rep. 6, 35587; doi: 10.1038/srep35587 (2016). Exposure to the environment can cause metallic materials to deteriorate but a 2D material coating may help protect against corrosion and oxidation. Metals are a significantly important material for a range of different industries including oil, chemical, aerospace, pharmaceutical and medical. However, metallic components exposed to the environment are prone to corrosion and oxidation. Various methods have been implemented to protect metals from corrosion, including galvanising, painting and electroplating. Recent studies have been looking at the potential benefits of using 2D materials as protective coatings for metals. For example, graphene, the first 2D material to be discovered, is highly impermeable to liquids, gases and chemicals. It is also only one atomic layer thick and therefore would not affect the morphology of the metal. Such qualities make it an attractive candidate for coating metals. The potential problem with graphene is the high electronic conductivity and the direct contact with the metal could create a galvanic cell which over time would cause degradation of the metal. As such other 2D materials have been investigated. Hexagonal Boron nitride (hBN) has been studied as a potential alternative as it has the same permeability as graphene and does not form a galvanic cell. This month’s paper of the month comes from the Technical University of Denmark from the Micro & Nanotechnology department. They compared the protective properties of graphene and hBN under two oxidation environments, one simulating an acute and one a long-term. The group grew both materials on copper through chemical vapour deposition. They then conducted a variety of experiments to analyse their capability as barriers to corrosion and oxidation. This included Raman spectroscopy, x-ray photoemission spectroscopy and X-ray induced auger electron spectroscopy. To simulate the short acute oxidative conditions, the samples were first heated from room temperature to 400°C for 45 minutes. The second experiment was an isothermal experiment where samples were held at 50°C for 60 hours to simulate long-term oxidative conditions. They conducted the heating of their samples inside a custom Linkam LTS600, which was used in conjunction with a Raman microscope. The results from the Raman spectroscopy indicated graphene to be an effective oxidation barrier in the acute oxidative environment. Between temperatures 150°C to 300°C hBN was less effective which is assumed to be due to the higher density of grain boundaries and wrinkles, which are known to induce faster oxidation of the copper substrate. However above 300°C the oxidation of the graphene coat increased as measured by the increase in the Raman intensity of the copper oxide peaks that were larger than that for hBN. Results from the isothermal experiment showed the barrier properties of graphene were effective only in short periods. After being held for 9 hours in 50°C, the oxidation of graphene resulted in an increase in copper oxide peaks. The failings of the graphene coat were due to the galvanic cell formation. The x-ray photoemission spectroscopy and x-ray induced Auger electron spectroscopy results showed hBN to be a better coating under the long term oxidative conditions. At 9 hours, the material showed little to no oxidation. After 40 hours there was a detectable increase in Cu(OH)2 but this was negligible compared to the graphene coated sample. They also showed the main peak on the surface of the graphene sample was copper oxide and copper for the hBN sample. The lack of a measurable oxide peak in the hBN sample demonstrates its superior ability as a protective barrier under long term oxidative conditions. Their research highlights another great potential application for 2D materials which would be greatly beneficial for many different industries. Galbiati, M. et al. Real-time oxide evolution of copper protected by graphene and boron nitride barriers. Sci. Rep. 7, 39770; doi: 10.1038/srep39770 (2017). There is great desire to create self-oscillating systems, such as the natural circadian rhythm of flowers, as such systems would have an incredible number of applications in different fields. In nature, it is common to find self-oscillating systems. These systems are either self-regulated or respond to external stimuli. Recreating this process synthetically is of great interest to scientists yet currently, there are only several attempted examples, all chemically driven and within non-dry systems. However, a light driven non-invasive system which would work in dry environments would prove to be much more useful. Self-oscillating actuators would have incredible application in self-cleaning devices and even as a renewable energy source, by converting solar energy into kinetic energy. February’s Paper of the Month is a collaboration between the Humboldt University of Berlin and the Eindhoven University of Technology. They attempted to address the need for an external stimulus driven actuator by creating a synthetic material which responds in an oscillatory fashion when exposed to a light stimulus. Azobenzenes are chemicals which can undergo a reversible reaction when exposed to light. These photo-reversible molecules are traditionally triggered by ultra-violet (UV) and blue light, causing a cis-trans isomerisation. This reaction can be utilised in self-oscillating actuators because of the reversible cis-trans isomerisations which make the film “move”. However, UV light eventually deteriorates the azobenzene, so creating a permanent self-oscillator requires tuning to less damaging electromagnetic waves such as visible light. Recent work has shown fluorinated azobenzene undergo cis-trans isomerisations with blue and green light, proving a viable candidate for incorporation into their actuator film research. They developed a liquid crystal polymer film doped with fluorinated azobenzene to test its oscillating prowess in the presence of only visible light. The liquid crystal film alignments were characterised using polarised light transmission microscopy and a THMS600. The THMS600 was used to determine the liquid crystal phase and alignment of the samples. The characterisation was vital for understanding and creating actuators with specific response properties. The polymer was sliced into a splay orientation to maximise film bending and was placed in sunlight. The exposure to light induced continuous bending in the polymer with no obvious frequency or pattern of oscillation. Two superimposed freeze frames of the moving actuator. The red lines illustrate the top of the position of the film at the point the video was frozen. A notable change in position can be seen. To account for the effect of air currents, a control experiment was conducted by comparing the movements of a non-oscillating film with the fluorinated azobenzene film. The non-oscillator was created from a liquid crystal mixture and hydrogen azobenzene which is non-responsive to light. Both films were placed together and exposed to sunlight. The H-Azobenzene showed no movement indicating the oscillating behaviour in the fluorinated azobenzene was not due to air currents but the light induced changes in the film. Further experimentation found the experiments to be reversible with the number of cis and trans isomerisations determining the degree of bending. “A polymer actuator has been fabricated that is capable of continuous chaotic oscillatory motion when exposed to ambient sunlight in air. This work constitutes an important step towards the realisation of autonomous, persistently self-propelling machines and self-cleaning surfaces powered by sunlight. Currently it is difficult to quantify the results but the experiments show promise for future applications in self-cleaning devices and possibly as a solar energy converter. Kumar, K. et al. A chaotic self-oscillating sunlight-driven polymer actuator. Nat. Commun. 7:11975 doi: 10.1038/ncomms11975 (2016).